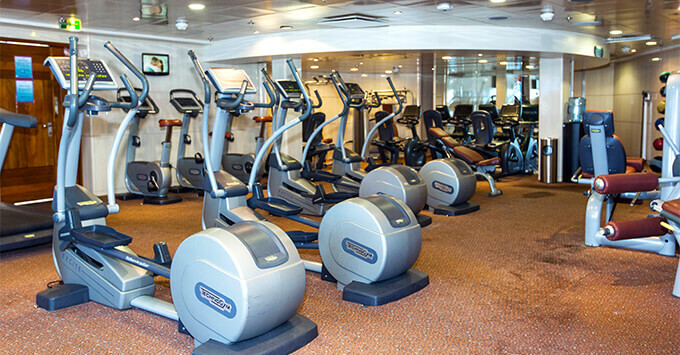 (12:48 p.m. EDT) -- Bahamas Paradise Cruise Line is upping its bang for the buck, with the addition of free fitness classes on both its ships beginning with Grand Celebration this month. The budget-friendly cruise line, which offers two-night Bahamas getaways roundtrip from the Port of Palm Beach, has partnered with acclaimed fitness program, Fit Bodies, Inc., to bring certified instructors onboard to lead various fitness, Zumba and yoga classes to passengers at no extra charge. Grand Celebration will be the first to offer the new classes, followed by Grand Classica starting January 1, 2019. "We are delighted to partner with these talented industry professionals to offer guests the best fitness experiences possible onboard," said Oneil Khosa, CEO of Bahamas Paradise Cruise Line. "In addition to exercising in our Ocean View Fitness Center, our guests can now enjoy the most popular workouts at sea led by certified trainers to ensure they feel rejuvenated during their getaway." Classes will be held both indoors and outdoors (weather permitting), with equipment provided, and available to passengers aged 16 and older.